The following tips are from lifestyle expert, Rachel Hollis. Personalize your party – for a simple and chic Easter seating card simply write your guest’s names on plain white eggs and place on their folded napkin. Put Spring on display – wheat grass is available at most grocery stores and fairly inexpensive. Just add some fresh floral or dyed eggs for easy décor! Take the credit for gourmet treats – Gourmet cookies and brownies are a crowd pleaser, but get crafty and take the credit yourself (and deserve it!). Add toasted coconuts to your favorite treats to create a “nest”. 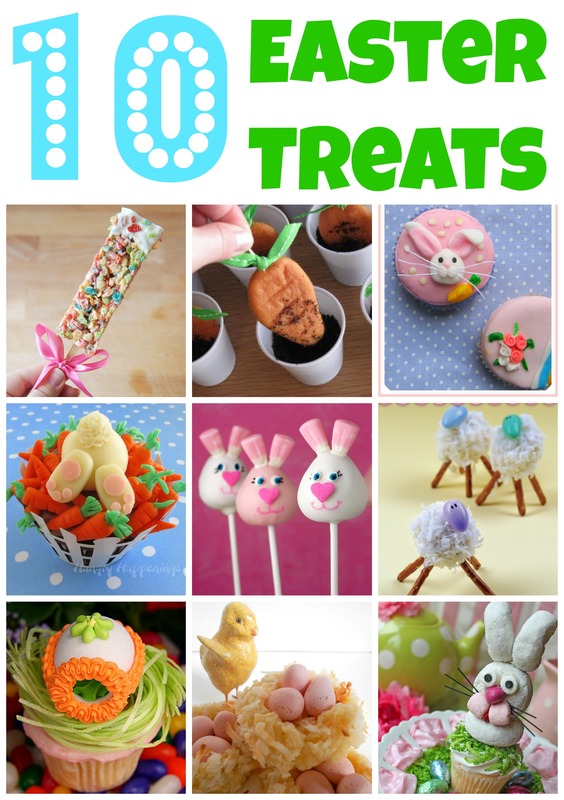 Put jellybeans or egg shaped candies on top to complete the Easter feel. Surprise your guests with flowers – edible flowers are easy to find in the produce department of your grocery store. Use them to add a little “springtime” to your desserts, cocktails or even salad! ‘Eggs’ mark the spot – create a little map of your yard or house where you can easily mark how many eggs the, er, “Easter Bunny” left in each area. That way the kids don’t miss out on any of them. A new twist on an old favorite – consider serving your Easter recipes in a unique way… an Easter ham becomes pork tenderloin, use quail eggs instead of chicken eggs, or maybe you turn Grandma’s favorite pudding into a pie. Guests always love to be surprised with something new! The more, the merrier – rather than going with just one Easter dessert, consider creating a dessert buffet with candies, cakes and your favorite sweets. 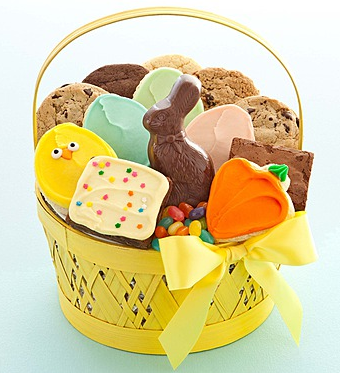 Don’t have the time to bake it all – order a premium assortment at Cheryls.com.